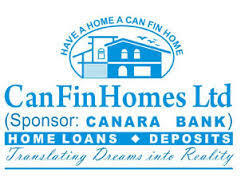 CanFin Homes Ltd, set up under the sponsorship of Canara Bank, was incorporated in the year 1987, "The International Year of Shelter for the Homeless".The main objective of setting up the company was, promoting home ownership and as well, increasing the housing stock in the country. It is the first housing company to be promoted by a nationalized bank in India. CanFin Homes Ltd is one of the top players in the housing finance sector, in the country today. The company has completed 27 successful years of operation in the field of home finance and has a renowned history of making profits and paying dividends continuously, since inception in 1987.